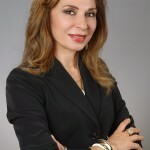 Dr. Houri Khalilian, a Co-Founder of IABA, is a patent attorney admitted to practice before the State and Federal Courts in Maryland and Washington, D.C., Maryland Court of Appeals, District of Columbia Court of Appeals, the Federal Circuit Court of Appeals and the United States Patent and Trademark Office. Dr. Khalilian [has] started practice of law in 1994 and has been trained at top twenty U.S. intellectual property and general practice law firms in Washington, D.C. Dr. Khalilian’s practice includes preparation, prosecution and procurement of patents; providing counsel to biopharma and other technology clients toward resolution of intellectual property-related issues, including the planning, development and maintenance of patent portfolios; due diligence investigations in connection with mergers and acquisitions; and preparation of patentability, validity, infringement and freedom to operate opinions. Dr. Khalilian is also involved with the EB-5 Immigration Investment Program and the corporate governance of Regional Centers in compliance with USCIS laws and regulations at the administrative agencies controlling specific businesses proposed by the Regional Centers. Before entering the field of law, Dr. Khalilian held a research scientist position at Yale University in the Department of Internal medicine. Dr. Khalilian obtained her Ph.D. from the University of Sussex in England in the field of Cell and Molecular Biology. She has more than twenty two scientific and legal publications in peer reviewed journals and book chapters internationally. Apart from being a Co-Founder and serving as an Advisory Board Member for IABA, Dr. Khalilian has also been involved with other non-for profit organizations prompting the legal and society interests of women and minorities in the USA. For example, she is a Chapter Leader of Public Affair Administration of Iranian Americans (PAAIA), and is an active member (speaker, moderator, and fund raiser) of the Iranian-American Woman (IAW) Foundation.